TWO ON A TOWER (1882) is a tale of star-crossed love in which Hardy sets the emotional lives of his two lovers against the background of the stellar universe. The unhappily married Lady Constantine breaks all the rules of social decorum when she falls in love with Swithin St. Cleeve, an astronomer who is ten years her junior. Her husband's death leaves the lovers free to marry, but the discovery of a legacy forces them apart. 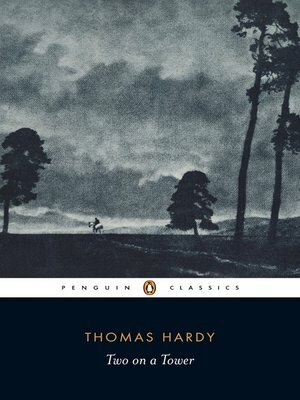 This is Hardy's most complete treatment of the theme of love across the class and age divide and the fullest expression of his fascination with science and astronomy.